Wet Seal is a retailer that focuses on budget apparel for young women. The company operates over 173 retail locations and an online store serving the continental United States and Puerto Rico. This article explains how to apply for Wet Seal online, so go ahead and fill out a Wet Seal application today. Lorne Huycke founded the company initially as “Lorne’s” in 1962 in Newport Beach, California. Today, the company operates from its headquarters in Foothill Ranch, California and focuses on its Wet Seal and Blink brands, which are sold both in malls and online. The more mature Arden B brand has been phased out. The company takes pride in its capacity for innovation through diversity and inclusion, since this approach is key to serving the wide variety of customers that walk through store doors. There is even a Diversity and Inclusion Council that works to integrate these values, and a 24-hour hotline where employees can report policy violations. To compete in the fashion industry, the company stands out for getting to know young customers personally and helping them find confidence, freedom and enjoyment through their own personal style. Thus the customer is the central focus of all operations. To reach its young demographic, the company has an active social media presence, including Twitter, Pinterest, YouTube, Instagram, and Facebook accounts. Wet Seal careers mostly focus on the customer-facing retail end, or the corporate positions that support it. The most abundant job opportunities are Sales Associate, Assistant Manager, and Store Manager. Team members enjoy a flexible, fun, and collegial working environment. Entry-level sales positions, especially seasonal, are a great way for young people to build work experience. You can also look for corporate positions in Merchandising, Field Leadership, Loss Prevention, and other common support functions. Don’t be discouraged if you don’t find a management position right away. This company likes to promote from within, so you can still get your foot in the door with a store position and advance. How old do you have to be to work at Wet Seal? Most employees need to be 18 or older to work for this company. If your state allows employment from 16 years and up, you could apply for jobs at Wet Seal with a work permit. Check with the location nearest you. A sales associate makes on average $8.41 per hour. The salary for a store manager ranges from $35,000 to $45,000 per year, and assistant managers slightly less than that. One of the greatest benefits is the 50% in-store discount for hourly and full-time employees. Bonuses depend on the position. Stores are open during the normal hours of the mall where they operate, so check your local listings. Sales Associates have two main roles—serving customers and supporting operations. They greet customers, sell products, offer fashion tips, and promote frequent buyer cards. They also process sales and returns, stock and decorate the store, and help with merchandise shipments and bank deposits. Flexible availability is important for this position. Assistant Managers help the Store Management increase sales and make sure the customer experience, visuals, and operations follow company standards. Responsibilities include training sales associates on selling by setting an excellent example on the floor. On the operations side, they need to monitor payroll, scheduling, loss prevention, and inventory as well as overall employee behavior. Store Managers are responsible for grooming product teams in the stores under their supervision. The job description includes hiring and training all staff on sales goals, tactics, and company systems. In addition they should identify and promote talented personnel and create an exciting and positive work environment overall. Two years’ retail experience is necessary for this position. Merchandise Planners work in headquarters and create the financial strategy of the company, including sales, inventory, discounting, and target profits. This position requires effective teamwork with other merchandising and planning staff. The company is looking for highly qualified individuals for these jobs. 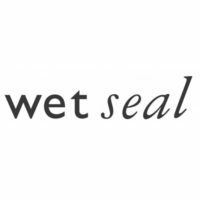 Check the link below for Wet Seal jobs online. Here are a few common questions to help you prepare for an interview after you submit your free application. Why do you want to work for Wet Seal? For this question the interviewer is looking for a detailed answer. It’s not enough to be interested in fashion or like the store’s clothes. You should also express an interest in the brand’s values, such as listening to customers or helping them find their own special style. Describe a time you failed and how you reacted? Nobody is perfect, and everybody makes mistakes. What’s important is how you recover from them. Your answer to this question will help the interviewer gauge your maturity and ability to adapt to a variety of work situations. Remember to emphasize what you learned from your experience. How would you deal with a rude customer? This is especially important for store positions. When representing the brand you will need to remain gracious under pressure, so talk about how you will do this even if a shopper is angry or uncooperative. If you can share past experiences, that’s even better. What is the best way to prevent theft? Shrinkage is a major concern for any retailer and needs to be contained. In addition to the usual monitoring and technology solutions, you can impress your interviewer by emphasizing a preventive approach. If you delight your customers with excellent service, they will be less tempted to steal from the store. You must show enthusiasm for the brand and the customer segment in your interview, since this is a major focus of the company. Appreciation for diversity and inclusion will also resonate with your interviewer. A pioneering spirit is also part of the company’s culture, so providing examples of creativity or innovation in your past work is something you can mention on your printable application for Wet Seal, or online applications. To apply for Wet Seal jobs, you can complete a direct application online or fill out a printable application form at your nearest store. Online you can search by job title or job area to find the perfect position and submit your resume. For sales associates, the process usually takes around five days, including application and a group interview. Other positions can take longer. Group or individual interviews usually focus on behavioral questions about how you have reacted or would react in a variety of situations. The company is looking for people who can keep their cool, act fast, and always focus on customer service. If you don’t have prior work experience, draw from similar situations to impress your interviewer. You can also apply online for management positions. These demand high responsibility so you should emphasize your commitment to the company and the brand. Talk about how you would organize your team to meet sales goals, cover shifts, and implement new merchandising or marketing initiatives. For an exciting career, fill out an online application or download application form and take it to a store.